Come see us in 2019 at the following events. More festivals will be added to the calendar as our schedule is set for the year. Experience nine blocks of incredible art, local and national entertainment and a beautiful Downtown. Stretching from Weatherford Street on the north to 9th Street on the south and all blocks in between, MAIN ST. serves up 18 blocks of food, fun, music and…art! Art lovers from far and wide convene on the Fiesta Arts Fair, now in its 46th year, on the picturesque and historic grounds of Southwest School of Art. Located along San Antonio’s renowned River Walk, the festive two-day event, offers visitors the opportunity to interact with artists and purchase high quality contemporary and traditional art and crafts from approximately 115 exhibitors. Location: Denver’s Cherry Creek North Shopping District, from 2nd to 3rd Avenues, on the six streets between Clayton and Steele Streets. The Cherry Creek Arts Festival weekend event is a world‐class celebration of the visual, culinary and performing arts. The CCAF’s year-round non-profit mission is to provide access to art experiences and to support education. Location: The festival is held on the forested grounds of the Kings Mountain Community Center and Firehouse at 13889 Skyline Blvd. (Highway 35), above the town of Woodside, California. The Kings Mountain Art Fair is an annual event, held every Labor Day weekend. The Art Fair benefits the Kings Mountain Volunteer Fire Brigade, the Kings Mountain Elementary School and other community activities and is staffed completely by volunteers from the local community. Known for its stunning location among the redwoods and for its unique and varied artists (selected by jury), the Kings Mountain Art Fair celebrates over 50 years of art and ambiance. Fair admission and parking are free. The 32nd annual Southwest Arts Festival features traditional, contemporary, and abstract fine works of art by nearly 250 acclaimed artists. Artworks includes clay, drawing, glass, jewelry, metal works, painting, photography, sculpture, and textiles. A live art demo will take place at various times throughout the festival. Sponsored by the Greater Coachella Valley Chamber of Commerce and the Indio Visitors Bureau, the event has now expanded to run four days and all profits generated by the festival will go to support Coachella Valley non-profits. This event is brought to you by the same team that does the Cherry Creek Arts Festival and is a celebration of national art and local flavor. Join us at this bustling shopping and dining venue the Stanley Marketplace adjacent to Denver’s Stapleton community in Aurora. The 2018 event will feature 100 juried artist exhibitors, the event will take place outdoors on the runway and in the indoor event facility throughout the weekend. Kings Mountain Art Fair is an annual event, held every Labor Day weekend. The Art Fair benefits the Kings Mountain Volunteer Fire Brigade, the Kings Mountain Elementary School and other community activities and is staffed completely by volunteers from the local community. This high-quality festival, hosted by the Palo Alto Chamber of Commerce, attracts over 150,000 attendees. Downtown becomes home to 300 fine art & contemporary craft displays, over 60 Italian Street Painters, Kids Art Studio, specialty areas, stage & street entertainment, gourmet food, fine wines & micro-brews. Now in its 46th year, the Crested Butte Arts Festival features incredible art, fantastic cuisine, exhilarating entertainment, artist demonstrations, children’s activities, and an art auction. There’s something for everyone at the Festival, where surrounding beauty, artistic talent, and appreciative patrons merge for one, glorious weekend. Saturday July 28, 9 a.m. to 6 p.m.
Sunday July 29, 9 a.m. to 5 p.m. The 6th Annual Cheesman Park Art Fest festival comes to life within Cheesman’s 80-acre greenscape in the heart of Central Denver, which is bordered on one side by the Denver Botanic Gardens and thriving with hundreds of years of history. Set at the convergence of three densely populated historic neighborhoods in the heart of the Mile High City, the demographics and location of this festival can’t be beat! 135 juried artists and craftsmen will be invited to showcase their work in this two-day event. Just out side of Seattle, the Edmonds Arts Festival has grown from a small community art fair to one of the most prestigious in the Pacific Northwest, attracting artists from across the nation and Canada. The Festival provides a unique opportunity for patrons to meet artists and purchase their work in a beautiful outdoor setting overlooking Puget Sound. The Festival offers free live entertainment, a juried gallery art exhibition and sale, a nationally-recognized juried student art exhibit, and a hands-on children’s art activity area. St. Louis’ favorite Mother’s Day Weekend tradition features local food and beverage vendors, hands-on activities for kids, live music and up to 150 juried artists from across the country. Rain or shine. Friday, May 11, 2018; 6 p.m. – 10 p.m.
Saturday, May 12, 2018; 10 a.m. – 8 p.m.
Sunday, May 13, 2018; 10 a.m. – 5 p.m. The 17th annual One of a Kind Holiday Show returns to The Mart in downtown Chicago December 7-10 with more than 600 talented makers from across North America and thousands of original handmade gift options. Shop directly from the makers and enjoy a one-of-a-kind shopping experience with great food and entertainment. Southampton Arts Center, 25 Jobs Lane, Southampton, New York. ODD BEAUTY is the most ambitious International Steampunk exhibition since it made its wildly successful premiere at Oxford University’s Museum of the History of Science in 2009 and later at South Korea’s Seoul National Museum in 2014. Camryn Forrest Designs (artist collaborators Reid Grossnickle and Cameron Forrest Lewis) will show five globes at this exhibit. The Sidewalk Arts Festival features the region’s best fine art, folk art and craft artisans. A one-day festival with fine art, activities for kids, live entertainment, food vendors and more on the streets surrounding the Washington Pavilion! This festival is a fundraiser for the Visual Arts Center of the Washington Pavilion and the region’s largest one-day arts and crafts festival. Crested Butte, Colorado, is home to one of the nation’s top arts festivals. Now in its 45th year, the Crested Butte Arts Festival features incredible art, fantastic cuisine, exhilarating entertainment, artist demonstrations, children’s activities and an art auction. There’s something for everyone at the Festival, where surrounding beauty, artistic talent, and appreciative patrons merge for one, glorious weekend. The Crested Butte Arts Festival produces an annual, nationally recognized Festival presenting a broad spectrum of the arts, whose proceeds perpetuate the Festival and also provide for year-round, sustainable arts outreach programs for the community of the Gunnison Valley. Sunday, August 6th: 10 am – 5 pm. Artists and craftsmen will hail from 30 different states to showcase their work at the Cheesman Park Art Fest; a free, two-day festival in one of Denver’s prized historic parks. The show takes place on the southwest roads of Cheesman, where patrons can shop the works of potters, painters, jewelers, sculptors, glass artists, and more. At Chicago’s Merchandise Mart, downtown. Shop from 300 talented makers while enjoying great food, entertainment and Spring-themed programming. The 31st annual Southwest Arts Festival is a major, internationally recognized cultural event that will feature traditional, contemporary, and abstract fine works of art by more than 200 acclaimed artists. Includes clay, drawing, glass, jewelry, metal works, painting, photography, sculpture, and textile. Sponsored by the Greater Coachella Valley Chamber of Commerce and the Indio Visitors Bureau, the event has now expanded to run four days and all profits generated by the festival will go to support Coachella Valley non-profits. The 16th annual One of a Kind Show, Holiday Edition, returns in 2016 with more than 600 talented artists from across North America and thousands of original handmade gift options. Shop directly from the artists and enjoy a one-of-a-kind shopping experience with great food and entertainment. Snow globe fans: If you are reading this and would like us to send you a free pass to the One of a Kind show in 2016 (the event requires tickets), drop a note through the “contact us”form. We have a limited number of guest passes and would be glad to share them with folks who follow our web pages. The Colorado Artsfest at Castle Rock is a juried fine arts show with artists from across the country. Historic downtown Castle Rock provides the perfect canvas for the 27th Annual Colorado Artfest, displaying a wide range of works from life-size sculptures, to photography and jewelry. There’s a multitude of opportunities to appreciate – and purchase – art during this weekend of visual inspiration. Enjoy continual live main stage entertainment, featuring popular musicians, that provide a complimentary backdrop to this year’s program along with strolling entertainers, the Artfest Store; and a silent auction.. The 44th Annual Crested Butte Arts Festival will take place August 5th through August 7th 2016! Crested Butte, Colorado, is home to one of the nation’s top arts festivals. Now in its 44th year, the Crested Butte Arts Festival features incredible art, fantastic cuisine, exhilarating entertainment, artist demonstrations, children’s activities and an art auction. The 70th Annual Bellevue Arts Museum ARTSfair presents over 300 inspiring artists showcasing unique, handmade craft and art. This marketplace represents modern, traditional, and emerging work. 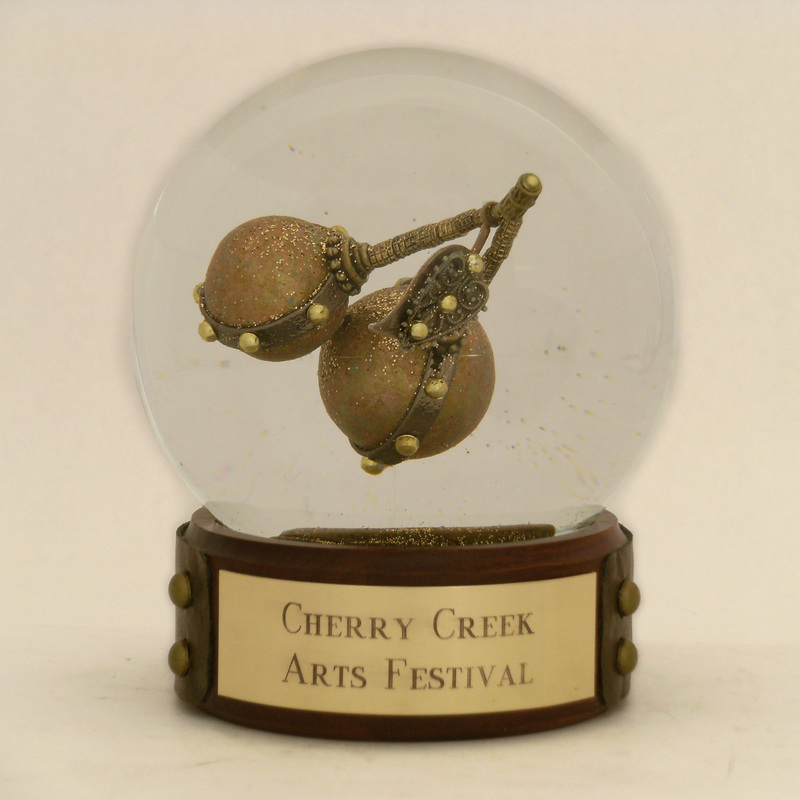 The Cherry Creek Arts Festival (CCAF) weekend event is a world‐class and award‐winning celebration of the visual, culinary and performing arts, and enjoys an attendance of 350,000 visitors over the course of the three‐day event. THE 18th ANNUAL DENVER ARTS FESTIVAL will be held at Stapleton’s Northfield Area. The Denver Arts Festival is a fine arts and fine crafts festival that continues to be dedicated to supporting Colorado artists while also showcasing a select group of national artists . The Denver Arts Festival holds its annual premier event at Stapleton’s Conservatory Green Plaza in Northfield. After 15 years of celebrating artists and their handmade work during the Holiday season, the One of a Kind Spring Show is launching April 29-May 1 at The Mart, downtown Chicago. The Tempe Festival of the Arts showcases nearly 400 artists and 16 different visual arts categories that range from wood to photography to ceramics, wearable art, jewelry and other categories. First Friday in the RiNo Arts District, which coincides with Denver Arts Week this year. First Friday opening hours are from 6-9 p.m. Please contact us for studio address on Blake Street. CherryArts is excited to partner with Stanley Marketplace in their opening year to create an event that will grow and thrive within this unique urban marketplace. CherryArts Festival at Stanley will feature 100 exhibiting artists, entertainment, a children’s Creation Station as well as culinary and beverage experiences. Stanley is a creative venue with grand ambitions and is like no other marketplace. It is a former aviation facility with mixed indoor and outdoor spaces located in the Stapleton neighborhood in east Denver, Colorado. The evening event on Friday, October 23 requires a ticket; Saturday and Sunday October 24-25 is open and free to the public. One of Kansas City’s favorite traditions is the Annual Plaza Art Fair, one of the nation’s art fairs with over nine blocks of art, crafts and jewelry featuring top artists from the metro, nation and around the globe. The Sausalito Art Festival is the perfect way to celebrate your Labor Day Weekend. Meet over 260 artists, and have the opportunity to purchase one-of-a-kind paintings, drawings, ceramics, sculpture, jewelry and more. Enjoy non-stop musical entertainment from top headliners on three stages, gourmet delights, and fine wines and champagne. Salida, Colorado is located in the heart of the South Central Colorado Rockies and has the distinction of being one of “America’s best art towns”, according to The 100 Best Art Towns in America, by author John Villani. The festival is in a picturesque willow tree filled park with lush green lawns on the banks of the Arkansas River, in the downtown Historic District.The live Music Stage features the best of local blues and folk musicians. Our vision is to provide the local and visiting public and our national and local exhibitors a memorable and high quality festival experience. A three-day festival in Edmonds (about 20 minutes from Seattle) celebrating the arts where attendees can view and purchase original art, enjoy free entertainment, celebrate our talented youth, and sample great food. THE 17th ANNUAL DOWNTOWN DENVER ARTS FESTIVAL will again be held at the Denver Center for Performing Arts over Memorial Day weekend, starting on Friday evening and continuing Saturday and Sunday. The Desert Arts Festival will be held at Frances Stevens Park on March 21-22, 2015, in Downtown Palm Springs. The Desert Arts Festival will feature 100 artists presenting work in all mediums including two and three dimensional fine art, paintings in acrylic, oils and watercolors, photography, etchings, sculpture in clay, glass, metal, stone and wood. Stop in to Main Street Fine Art Gallery (Evergreen, Colorado) for a wonderful display of original art from more than a dozen talented artists. It’s a unique, juried, co-op with high standards of artwork and presentation. Main Street Fine Art Gallery is run by the Evergreen Artists Association, www.EvergreenArtists.org. The gallery is located near Beau Jo’s Pizza in Downtown Evergreen at 28186 Colorado Highway 74. 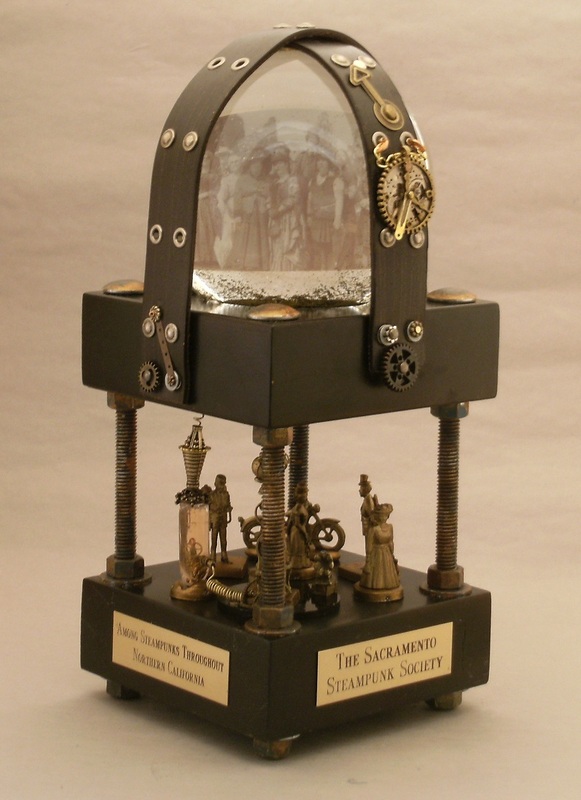 This year, Camryn Forrest Designs is honored to show a selection of one of a kind snow globes at the gallery. We will be showing at Southwest Arts Festival®, held at the Empire Polo Club in Indio California, a Coachella Valley landmark, featuring the desert’s natural landscape and sweeping mountain ranges. Every year the Festival continues to evolve and attract a high caliber of talented artists and unique artwork. This year’s festival will feature interactive art, with pottery, glass blowing and fine art painting scheduled to be on display. Visitors can also enjoy a variety of food and beverage options while casually walking the grounds to the subtle sounds of jazz music. Downtown Denver welcomes the first ART DENVER showcase, bringing a fresh and all-new indoor art experience of fine arts to Colorado. We will be premiering approximately 50 new pieces of work, including — by request — some winter and quirky holiday themes. Located at Colorado Convention Center, downtown Denver. 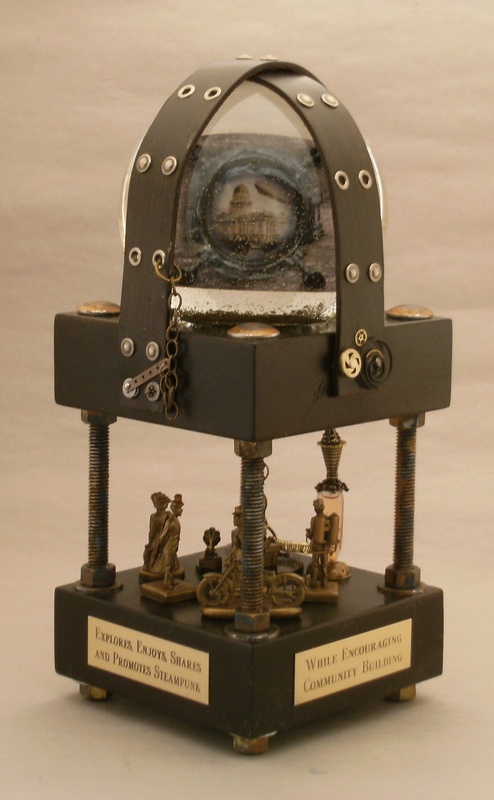 Camryn Forrest Designs is one of 80 juried artists invited to show work at ARTsarben. and Camryn Forrest Designs will be at the Roxy Theatre with a display case of water globes, snow globes and curious inventions. Stop by and give us a shake! All Ages show, $15 Tickets online or at the door. As always, shaking the snow globes is free of charge. 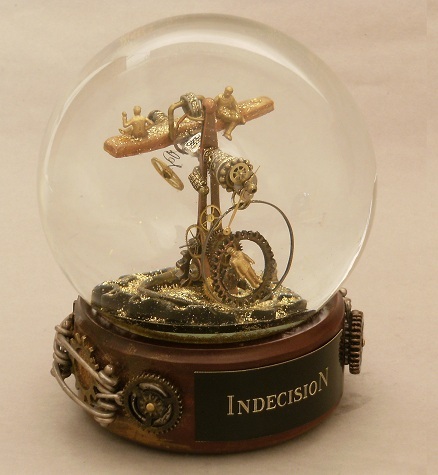 We will be exhibiting at the Cherry Creek Arts Festival exhibit Friday, Saturday and Sunday, July 5, 6 and 7, 2013.
for naming “Indecision” first place in the sculpture category, October 2012. It is a huge thrill and honor to be recognized among such stellar submissions. If you are in the area, please stop by and give our waterglobes and curious inventions a good shaking or two! One good shake deserves another.